23 octobre 2017 | Nouveau clip « GO ! » + grand JEU sur notre page Facebook !! New video « GO ! » and GAME on Facebook !! Nouveau clip « GO ! » + grand JEU sur notre page Facebook !! New video « GO ! » and GAME on Facebook !! JEU // GAME on Facebook !! Pour tenter de remporter le nouvel album « THE MERMAID’S SONG » + 2 pass backstage sur un concert de la tournée 2018 + un t-shirt Toxic Frogs connecte toi sur notre page facebook !! 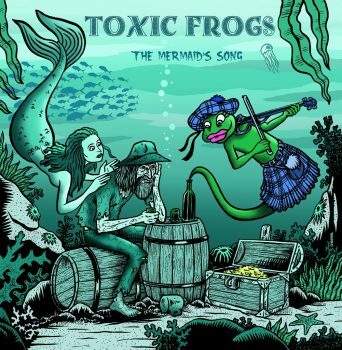 WIN the new album « The Mermaid’s Song » + 1 t-shirt Toxic Frogs + 2 backstage passes for one of our concerts 2018 in your region ! !